1. It provides data base and technical information and serves as Technical Advisory Body to Government for development of Textile Industry. 2. It is responsible for assisting the Ministry of Industries in the formulation of the Policies to meet the objectives associated for planning of physical and fiscal targets, identify policy issues, render advice to the Government for the formulation of import / export and fiscal policy. 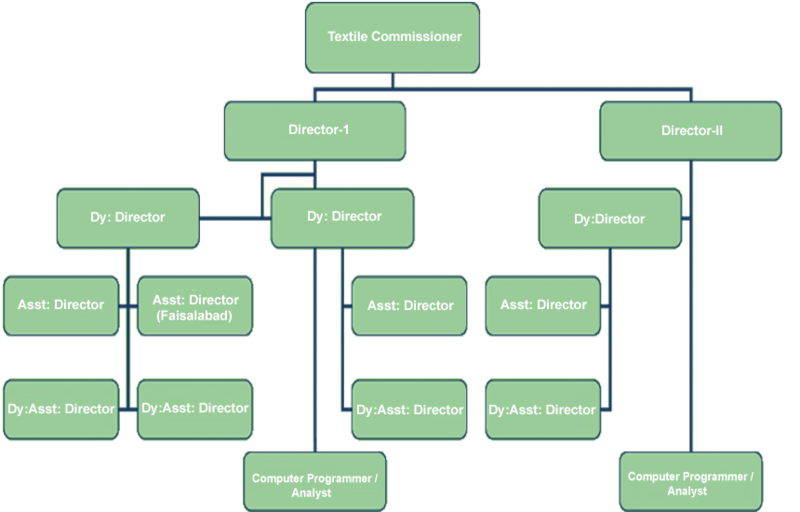 Textile commissioner's organization is the professional body to advise government on technical matters relating to the industry. It is a specialist body maintaining close contact with the industry and thus serves as a bridge between the industry and the government. It is manned with technically qualified people and enjoys the unique position of interpreting the industry's present problems and future requirements for hence converting it into techno-economic recommendations for devising an appropriate policy for the smooth performance of the industry. 1. TCO provides every possible support to Ministry of Industries & Production on Textile Sector of Pakistan. 2. As a bridge between Industries & Government, TCO takes up the problem of Textile Mills to Govt. for their solution.